The SRAM RED eTap AXS Electronic system is an intuitive, high performance wireless groupset. At the core of this drivetrain is AXS - the electronic integration platform that allows you to easily personalize the groupset right from your phone and enable your choices while riding. Orbit chain management provides a reassuringly quiet, secure and smooth ride, whatever the terrain. 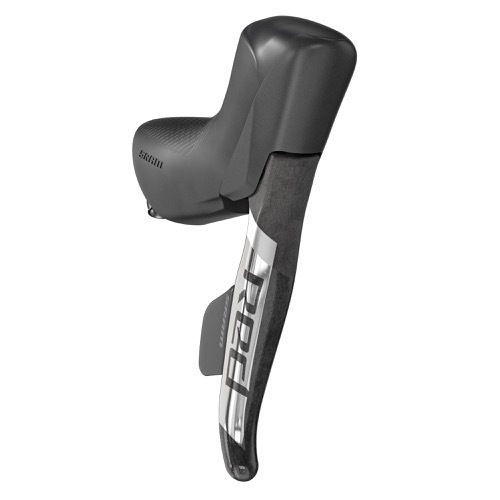 The HRD shift/brake system offers fully wireless electronic shifting with fully hydraulic disc braking. It is AXS™ enabled for ultimate customization. eTap keeps shifting simple and intuitive, with large shifting paddles that are textured for an improved feel and designed with two Blip ports each. 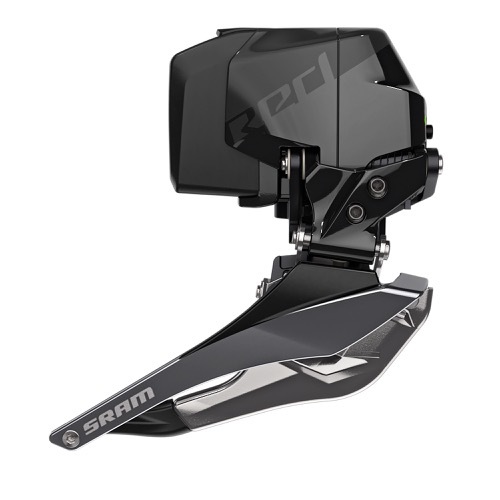 Fit and lever preferences can be adjusted with SRAM’s Contact Point Adjustment and Reach Adjust technologies. Bleeding Edge technology allows for easy and clean brake bleeds. 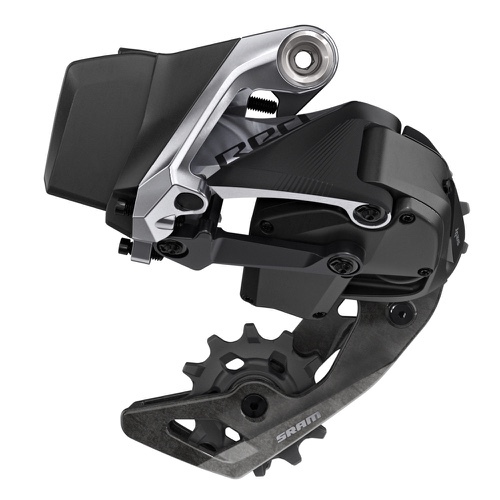 The SRAM RED eTap AXS™ front derailleur leverages SRAM’s X-Range technology. Its design carves out space for wide rear-tire clearance, making it a great fit for modern riding. Shifting is quick, precise, and completely personalized with AXS™ technology. It features Yaw trimless cage technology with an optimized cage profile for SRAM RED front chainring combinations, and is compatible with existing eTap batteries. SRAM’s RED eTap AXS™ rear derailleur is designed around its advanced Orbit chain management technology. It utilizes silicon fluid as part of an elegant and ultra-lightweight damper system to reduce chain bounce, and places no additional resistance on the derailleur’s spring when under slow or light movement for easier shifting and rear wheel removal. Its updated motor and signal travel allow for instantaneous wireless shifting. Large X-SYNC pulleys and ceramic bearings provide extra efficiency and durability while riding. The RED eTap AXS™ rear derailleur is AXS™ enabled for ultimate personalization, and is compatible with existing eTap batteries.